Looking for the best ideas for Mother’s Day? We’ve got you covered! Branson is the perfect place to spend Mother's Day! 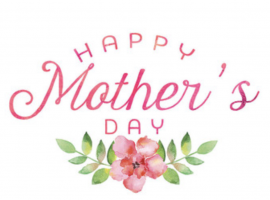 With all of the shopping, restaurants, attractions, and shows, you’ll be sure that your mom has a great time! Take her shopping at one of the many shopping destinations. Tanger offers stores that she will be sure to enjoy such as Coach, Vera Bradley, Kate Spade New York. The Branson Landing and the Downtown Branson area offer a unique shopping experience along with some of the name brand stores such as Belk and Versona. There are many restaurants offering delicious brunches on Mother's Day. These include: Chateau on the Lake Grille, Branson's Center Stage, and the Keeter Center at the College of the Ozarks. Main Street Lake Cruises is also offering a special Mother's Day cruise. If you're looking for a little adventure, take her on the Branson Ferris Wheel! Enjoy gorgeous views of the Branson area. Or, have some fun at a Branson show! The Hughes Music Show is offering free tickets for moms with the purchase of another adult ticket! You will be sure to make your mom smile when you spend Mother’s Day together in Branson!